Aluminium housing with water temperature sender and clips. Can be added into the water cooling system by cutting into one of the pipes. 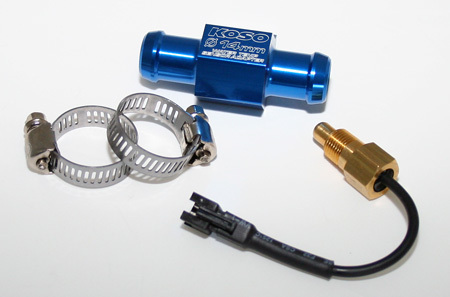 Sender is compatable with the speedos we sell and fits an internal pipe diameter of 16mm.